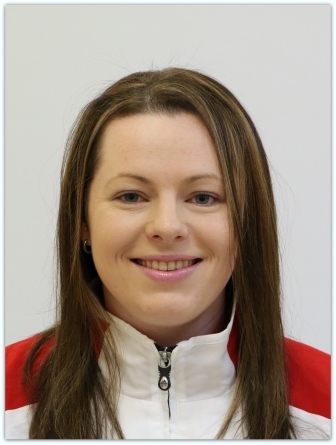 Jessica Haintz joined the Waverley coaching team in 2012 and works with our elite pathway development athletes. She is the Foundation & Development Squads Coordinator in our program, overseeing many of our junior development staff and athletes. Jess conducts extensive talent identification for our program and also manages our WGC hosted competition s. Jessica has more than 14 years coaching experience and is fully qualified and registered with both Gymnastics Victoria and Gymnastics Australia. Jessica has had gymnasts successfully compete at State Pennant Finals, Victorian Championships, Australian Championships, National Clubs, Australian Classic, Border Challenge and Trans Bass events. Jessica is also very well regarded as a FIG internationally accredited Judge and was selected as an Australian Judge for the 2018 Pacific Rim event held in Colombia, and as a Technical Officer for the 2018 Commonwealth Games. In 2013 Jess was part of the Australian Team officials as a judge on the National Levels Tour of New Zealand. Over the past 10 years Jessica has been a Victorian Team Judge for both National Championships and Trans-Bass Challenge events. Jessica is Victoria’s youngest FIG WAG Judge. Prior to 2012, Jessica was the Assistant Manager & Senior Coach of the successful Geelong YMCA Program coaching both Junior Development and National levels. She has been awarded 2013 & 2017 Gymnastics Victoria ‘Official of the Year’ and also was awarded WGC Squad Coach of the Year in 2017. Jessica’s coaching philosophy includes building strong gymnastics fundamentals whilst ensuring a positive well-being of every child in her care.